Loss of appetite (LOA) or Anorexia is defined as loss of the desire to eat and is associated with a reduced food intake. LOA can be due to a wide range of disease processes. However, many clinicians do not assess the nutritional status of the elderly routinely or treat the underlying causes of LOA appropriately. This is detrimental for the elderly as the development of malnutrition and muscle wasting can affect their quality of life. Loss of appetite and its’ associated nutritional deficits are important clinical features which should be routinely assessed in all elderly patients who are at risk. Effective therapeutic and preventive measures should be implemented at an early stage and a multidisciplinary team should be used to attenuate disease progression and improve patients’ overall function and quality of life. 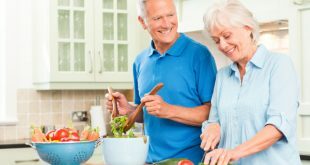 How to improve Appetite In Elderly? Serve then foods that they like to eat is possible to prepare a list of their favorite food.These will make them happy to get their choice of food. Keep the size of their meals small to avoid the feeling that they cannot be finished their meals. Try out different recipies for them. Can adding some herbs,spices and dressing to increase their interest toword the food. Try to adjust the preparation of food to overcome their problem, eg if they have problem with chewing, try to some extend by cutting the food in small sizes. Advise them to drink sufficient amount of water. Giving them moral support by giving them lots of love, care and support. Do nood neglect their need and demand.